Et-Pumpkin Adventure Travel serves all the tourists who extremely want to have an exotic and adventurous holiday in Viet Nam. 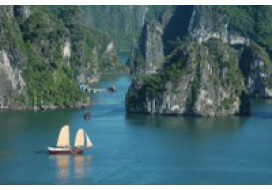 Our professional staff and friendly working environment combine to provide customers with safe, high quality, small group adventure tours to popular and isolated locations in Viet Nam. We believe in and practice responsible, sustainable tourism that respect traditional cultures, support local economies and protect the environment. 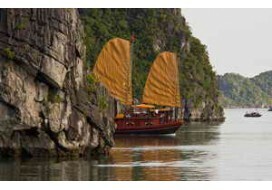 We are the leading Tour Operator in Hanoi that organizes many tour to all sites in Vietnam. We became the train ticket agency since 1999 for all the route from Hanoi to Northern ( Lao Cai - Sa Pa ) and to the Southern ( Hue - Danang - Nha Trang - Sai Gon ). With the modern train carriages, all tourists have satisfied once travel on Et-Pumpkin Express train. We are not only supplying tourist train services but also offer all inclusive package tours to Sapa with experienced English, French speaking guides and the new 2-3 star hotel system. 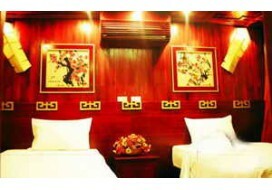 Travel with us, we bring you an exotic program & enjoyable days in Sapa , Vietnam . - Our Et Pumpkin train is operated on train SP1 - SP2. ( When you book ticket directly with us instead book via any agency we'll offer free transfer from our office to the Hanoi train station at 7.45 Pm everyday if you book 1 way and plus free transfer from Lao Cai station to Sa Pa if you book the return ticket ). You make your own arrangement to return to Lao Cai. 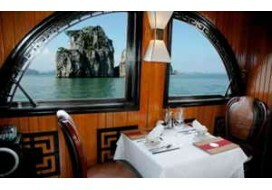 - The SP3 - SP4 is the regular train of Vietnam rail way company. These are immages about Et - Pumpkin Train - Deluxe Carriges. Train No SP1 - SP 2.